When thousands of homeowners think of a loan, Julie Brizzée is who comes to mind. 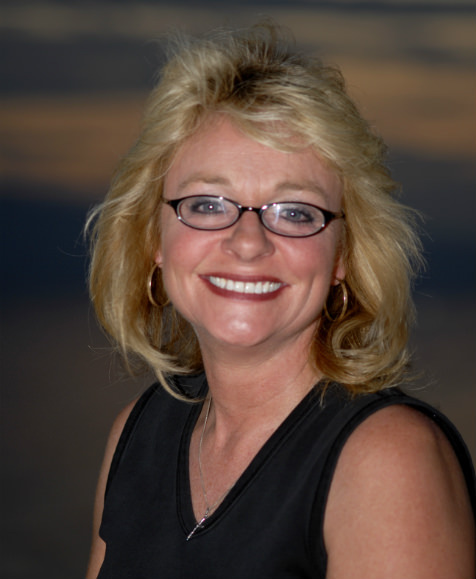 Julie has been a major performer in the mortgage lending industry for the past 25 years. Julie Brizzée is a native of Utah. After attending high school, she finished her education at Utah State University. While she was working in Retail Management in California, her sister, who is a Mortgage Underwriter, introduced her to the mortgage industry, where upon, she moved back to Utah. Julie worked her way up the ranks to become one of the top producing Mortgage Loan Officers in the Utah market place. She loves her job! Julie Brizzée is one of those people that once you meet her, you never forget her. Her distinct personality leaves a lasting impression on all that come to know her. Julie’s witty humor, boisterous character and positive out look on life only adds to a fun and positive home lending experience. You too will enjoy working with Julie Brizzée. Julie Brizzée’s honesty, knowledge, experience and fun loving attitude will make your home lending experience enjoyable. Feel free to call her and see what she can do for you. I have a passion for this job. It is never the same. Each person is different, and for that reason, each loan is different. My wife and I bought a home last month, and we had a new and COMPLICATED type of loan that required a seasoned, experienced loan officer. Julie made the entire process seamless and easy on our end. She is very responsive, detailed, and she took care of us like we were her only clients throughout the process. She answered all of our questions (and we had a lot) right away, and really held our hands throughout. Julie’s also hilarious and made the process fun. We couldn’t have done it without her and won’t use anyone else again! And after all she did, somehow WE ended up with a gift basket from her at closing. For over 20 years and numerous home loans, Julie Brizzee has been my go to mortgage loan officer. Julie’s passion for her work makes her a real joy to work with, and her level of expertise gives me absolute confidence at every step of the process. Julie’s knowledge of the industry and its intricacies are obvious with every question I ask. She doesn’t just give me answers - she explains the pros, the cons, and all the options and then encourages me to make the best decision for me. Also, without question, Julie is the best communicator of any professional in any field that I have ever dealt with. Her responses to calls and emails are always nearly immediate. If she is going to be unavailable she communicates when and for how long. I have witnessed Julie go to practically superhuman efforts if that is what’s needed to make a transaction successful. Thank you Julie, I want you to really understand what a difference this refi makes in our lives. It is the difference between keeping our house or selling it. Thank you for the Christmas miracle you are a sweetheart. I hope you get well soon. When my clients and customers tell me they are going to their local bank to get a mortgage, I yell “STOP” ! You don’t know your loan officer, they won’t be there in a year, and your bank or credit union is also busy giving out car loans, boat loans, CD’S and checking accounts. You want a lender for life who will shop ALL banks for you to get the best rates at the lowest costs. That’s what Julie does, and she has a passion for her job and has fun doing it. Frankly, she’s pretty hilarious to work with but is a laser beam at burning out the best loans. She’s also honest enough to tell you a) she can’t help you; b) she will work with you for a year to get your credit scores up; c) that your loan you have is fine and don’t refinance it yet. When you’re making huge lifetime choices on your financial future you want a fighter.